Since 2008 I am doing all my business online, and most of my customers are Europeans or Americans. I have multiple options for accepting online payments through 2Checkout, CCnow, Skrill,Payza and Payoneer. but a majority of my clients (Both Europeans and Americans) use PayPal for electronic transactions. But, the PayPal restrictions in Sri Lanka are leaving me in a fix. I do agree that PayPal is a secure and trusted online payment processor available for 202 countries and 25 currencies, There is no doubt, PayPal already captured the market like a storm, but the restrictions alone are rendering it useless for me. According to a regulation passed by PayPal. Any adult (18+) Sri Lankan can open a PayPal account and associate their Credit Card with it to send money or make payments. However, the Sri Lankan account holders cannot be used by the bearers to Collect or accept payment from anywhere in the world. If you are a Sri Lankan digital marketer or Doing business online then I’m sure you are already aware of this issue. Why do Srilankan ICT Entrepreneurs Need PayPal ? PayPal is required by all ICT Entrepreneurs and online Marketers. Sri Lankan Internet Marketers provide intangible services online, and therefore they need to have an option for receiving payment online via virtual currency. Owing to its popularity, a majority of the Internet Marketers and E-marketers (across the world) use PayPal to pay their service expenses and charges, thus making it a universally acceptable form of receiving and making payments. We do have Payza (formerly known as Alertpay), Skrill (formerly known as Moneybookers) and 2Checkout support in Sri Lanka, but the unique fact about PayPal being the universally accepted and most secure payment process still holds true. To extend the spending limit, PayPal user’s must verify their account with a credit card, address proof, and bank account. Due to the credit card verification process, most internet marketers are forced to use VCC (virtual credit card) verified insecure PayPal accounts to receive payouts and sales from their customers and buyers, while others choose to do without it. It’s NOT illegal, but it’s not recommended, owing to the fact that from time to time PayPal may request a credit card statement, and it may lead to an account seizure if you are unable to provide the required details. Creating international accounts in the name of Friends and Relatives by submitting their proof of documents as verification, then handling all the transaction activities from SriLanka using a local IP or by using VPN ( Virtual Private Network) . Strictly illegal, but still being followed by many in Sri Lanka. All these activities are against the PayPal TOS ( Terms of Service), so if PayPal catches your logs then the user account will be blocked, and you’ll need to give a valid reason with proof. As a matter of fact, even that is against the Securities and Exchange Commission Sri Lankan Law. Most Internet Marketers aren’t knowledgeable about these legal issues. In early 2011 I provided a quote worth $6700 for a Conversion Optimization project to one of my Canadian customers. The customer was happy with my proposal and quote, but said, “As this is this is my first business relationship with you, so I will pay this amount via PayPal. Thus, in the case of a problem I can file a dispute.” His decision couldn’t be questioned due to the nature of this business. I replied saying, “I do accept PayPal payment using 2checkout.com, so it’s not a problem for me.” He paid through PayPal to my 2co account, and I received two more $9000 orders, and I’m still doing business with him today. The truth is that if I didn’t have a 2checkout.com account, I would have lost this customer and of course, I would have lost my $18,000-valued project, which was not only a financial milestone for my business but also an opportunity to form a great partnership. I’ve noticed that some of my students are using this method, even when I’ve I told them not to do this. However, people don’t like the truth, and they cannot be entirely blamed because we don’t have a legal way in Sri Lanka yet. These users just generate VCC verified PayPal accounts using their relatives and friends profile details, and transfer their current PayPal balance to a third person via a payment processor like Payza, Moneybookers, Liberty Reserve, Ucash, or the Western Union, for a commission. Obviously, it’s against the payment processing law. If you are dealing with any online transaction, then the payment above should be done for any “Valid & Legal “purpose only. Transferring payment against commission is not a legitimate option, and it’s a serious violation of the payment processing law. Sometimes the exchanger may scam & disappear with the money, meaning the sender could lose their hard earned money within a matter of seconds, with no one to blame but themselves. However, if the payment comes from PayPal (except for credit/debit cards), 2checkout.com will deduct an “Extra” payment processing fee. So, I paid another “unwanted commission” to 2checkout.com. This could have easily been avoided if I had a PayPal account with Accept and Withdraw facility. Without the PayPal Accept/Withdrawal facility, many Sri Lankan Entrepreneurs, Freelancers, Internet Marketers and E-marketers are losing golden opportunity every day. I am disheartened to say that I know for a fact that we will never receive any support from the government even if we abide by their rules or laws! In our personal life, we can have whatever we like, but when we are doing business through online or offline, it is best to abide by the rules and legislation’s of the country and business rules to stay clean and run the business with respect. Don’t Opt for Unethical Tactics to Withdraw Money from PayPal! Yes! I’ve seen so many Sri Lankan Internet Marketers sharing tips like “Withdrawing money from Sri Lankan PayPal Account” or “Accepting PayPal payments from SriLanka.” I really appreciate that at least some our people are trying to figure out the methods to overcome this problem. I know there are ways out there to get money into this country via PayPal, but I also know that all of those ways are illegal, and some are purely misleading. If you are an underground IM’er ( Internet Marketers) then it’s no problem – it’s your life, go ahead and do it your way. But if you have a clear vision and need to be a successful Internet Marketer or professional E-marketer, then abide by the rules and follow the right path. What PayPal Alternatives Are Available? 2checkout.com is the one and the only feasible way to get money in Sri Lanka from overseas. If you have a 2checkout account, then you can accept credit cards, debit cards, E cheques, PayPal, and 2checkout Express Checkout Payments. Simply signup to a 2checkout Account, then contact [email protected] to speed up your application process. When the account is active, then start to integrate your website or issue invoices from your 2co admin panel. Customers will pay your invoice through their PayPal account without any problem. Yes, you have to pay a $49 2checkout signup fee and 2.8% transaction fee. However, I can get you a 2checkout.com account free of charge, in a legitimate way of course. This is an opportunity. Just reply in the comments section and I will let you know how to save the signup fee of $49 and get a 2co account with $0 investment. If you are a verified 2co vendor then you can apply for a Payoneer debit card from your vendor admin panel. Make sure provide all the necessary information and don’t forget to generate a minimum of $30 in sales before you apply for Payoneer card. You will receive the card within 14 days via courier or if you are wealthy person then select express courier, you will have the card within 3 days. Now, simply activate the card, then set weekly or monthly payouts from the 2checkout “Banking” option. I use Sampath Bank and DFCC bank to withdraw both, my personal and business funds from 2checkout.com, and it’s 100% legal. CBSL will monitor and remit your payouts to the relevant SWIFT accounts, and there is nothing to worry about. Let’s say if you set up the weekly withdrawal; then you will receive your payouts every Friday to your bank. Usually, all these SWIFT transactions are handled by the “Inward Remittance Department”. So if this your first transaction or you’re getting more than a $10,000 payout, then you should first inform your bank EBU manager or inward remittance department before getting the payment. Also, do not forget to provide them with relevant payment proof to speed up the approval procedure. However, this is not mandatory, as the bank will ask you to provide the documents if they need for verification. Currently, I’m getting more than $30,000 value payouts in a single shot without having any problems. But I have faced quite a few problems with CBSL and banks in the past. Now, they have the records about my company and me – who I am and what I’m doing here, so all my payments are fast tracked. NOTE: If you are withdrawing funds from the banks to your company or personal account, you will receive taxation notification automatically from IRD. So don’t forget to pay the due taxes on time. There are two reasons why we need to pay tax. When Doing business in any country, we should pay tax (a straightforward and ethical fact). Is there a way to ask Government and CBSL to Help Us? There is no point in starting petitions or writing our thoughts on blogs or forums because Sri Lankan authorities don’t have the time to read our feedback. Neither are they going to understand how we are struggling with our business proceedings in Sri Lanka. However, if you see RBI (Reserve Bank of India) actions; they are taking every necessary action to support Indian e-Marketers by curbing the PayPal restrictions for Indian entrepreneurs and maintaining a balance in the Receipt/Payment System. We don’t need to push PayPal because they don’t have the time to know about the situation in our country. PayPal may still think SriLanka is a dangerous country and that money laundering, violation and crimes are still going on here. But we can’t tell PayPal, “No it’s not like that, we are good! Just remove the restriction and see the activities!” Before anything, we need to contact our Sri Lankan Government to get help regarding this issue. Needless to say, if our dreams do come true, then the Sri Lankan Government will start receiving a decent amount of “Foreign Remittance” from around the world and of course we can see lots of E-Marketing businesses and Internet Marketers booming in the future as well. Okay! But, how can we approach the Government? The Central Bank of SriLanka monitors all E-transaction activities, but they aren’t aware of the importance of the PayPal restrictions! But ICTA knows about its importance very well, so it’s better that we contact CBSL or the government with the help of ICTA. Nowadays ICTA activities are really amazing, and they are helping build new start-ups and society. If I talk to ICTA alone, nothing will happen. But if “we” are going to talk with ICTA together then they will listen to our prospect. We need to first grab their attention and only then can approach the CBSL Authorities with a valid proof. What is in Store for The Government? I’m not saying that we can’t run any E-commerce business in SriLanka without PayPal. But, what I am trying to say is that if we receive the support from SL Government and PayPal, we will contribute to Sri Lanka’s economic growth, with at least, 0.0001% from our taxation + transaction fees. There is a update from Central Bank of Sri Lanka Governor Ajith Nivad Cabraal on his views about the first Q&A session on Twitter. He also emphasized the role of social media in helping reach society and in good governance. He also highlighted the status of PayPal being enabled for accepting payments to be implemented in Sri Lanka. well, srilankan or icta they dont know anything about paypal. it’s waste of time, it’s better you can choose payza. I’m not sure about The Government, But ICTA can help us to reach the right place. can’t we send PayPal money to skrill? most of the services out there only supports PayPal. Pubudu , There is no way to send money from Skrill to Paypal. I created a payza account because it’s the only option available for srilankans. it is not popular, somehow payza good. @Jeevan, Skrill ( AKA Moneybookers ) also support srilanka, did you check skrill ? I didn’t realize it was such a problem for Sri Lankans to get paid very Pay Pal! As someone who lives and works in North America, is there a reputable service I can use to pay Sri Lankans, if I ever hired one as a freelancer? US, Europe peoples can pay Through paypal without any problem, but Srilankan account holders can’t accept your payments. That’s a problem. very simpiration post, we need srilanka goverment help for the paypal. i will come with you sarnya. dont worry. I am interested to know how you can save the signup fee of $49 and get a 2co account with $0 investment. Can I withdraw money from a e-bay sale Through Skrill??? yes, You must have verified Skrill account linked with your Ebay account. hey…. tell about forex trading…. Due to the paypal restriction, I have set my ebay seller account linked with SKRILL but i am not sure whether my buyers will face a problem if they use ppaypal to purchase my item? Any advice? Thanks to your nice blog & sharing ideas.. Your withdrawal option is Skrill right ? There is no problem at all. Here is what you do not know. It is not a restriction by Pay Pal. it is a restriction by the CBSL and banks of Sri Lanka. Imagine if they were to allow payments to come in via paypal for all online transactions, all the banks would lose their revenue of 3% on any single deal carried out through their own payment gateways. This is a huge revenue earner for any bank. Why would they want to give that up. foreigners would pay for services with very little if not no commission. Just like our political situation, this too is bullying of the highest order. as long as we the people keep our mouths shut and sit behind our desks and demand nothing of these people, nothing is gonna change. I used to work hand in hand with all the treasuries of our banks, and this is the sad truth. Hi. I found this article very useful. I would like to know how i could save up the sign up fee of 2co! Interesting article and I have a small doubt about the transaction charges 2checkout have for Sri Lankan merchants. Its mentioned as 5.5%+0.45$ on the website. how to get with 2.8% transaction fee with the 2checkout? Pm me for 2co special offer details. Hi Sharanyan, what is the best way to PM you, as I would appreciate some further advice on the 2co payment gateway and also on avoiding the signup fee? Its amazing information about payment gateway. I use skrill and withdraw with commercial Bank NRFC Account within 2 days. 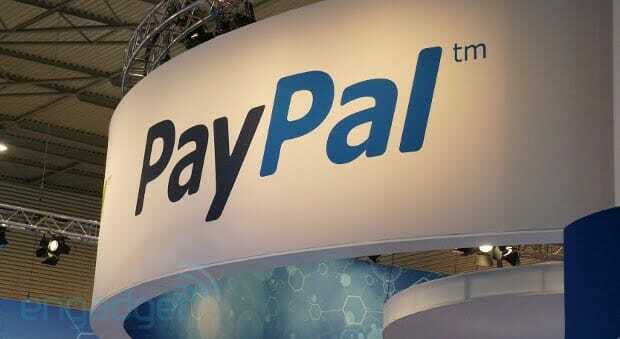 The issue is most of the online business support paypal. Skrill, Payza seems good so far! Here is what I was looking for, it’s really helpful. nice post . Very useful article And I want to know how can I make a 2checkout.com account without paying signup fee. Sri Lankan Verified PayPal account ? Do you think it would be a good idea to buy a paypal account in a different country from Auction Essistance? Would this be able to get around the laws of Sri Lanka? As i mentioned, I don’t recommend this strategy! Your account may get limited and it’s against the PayPal TOS. I bought a PayPal account from Auction Assistance, but now i’m facing issues trying to get money out since I don’t have a USA Bank. Is there some good alternatives to get a USA bank? Gr8 Post Sharanyan. Thanks for sharing. Hope this helps to those who are struggling to receive money from online. It seems Paypal is the only option for some business types like ebay selling. It is great if paypal support Sri Lanka. Sharanyan Sharma do you know any other way I can use to ebay to collect payments other than paypal.